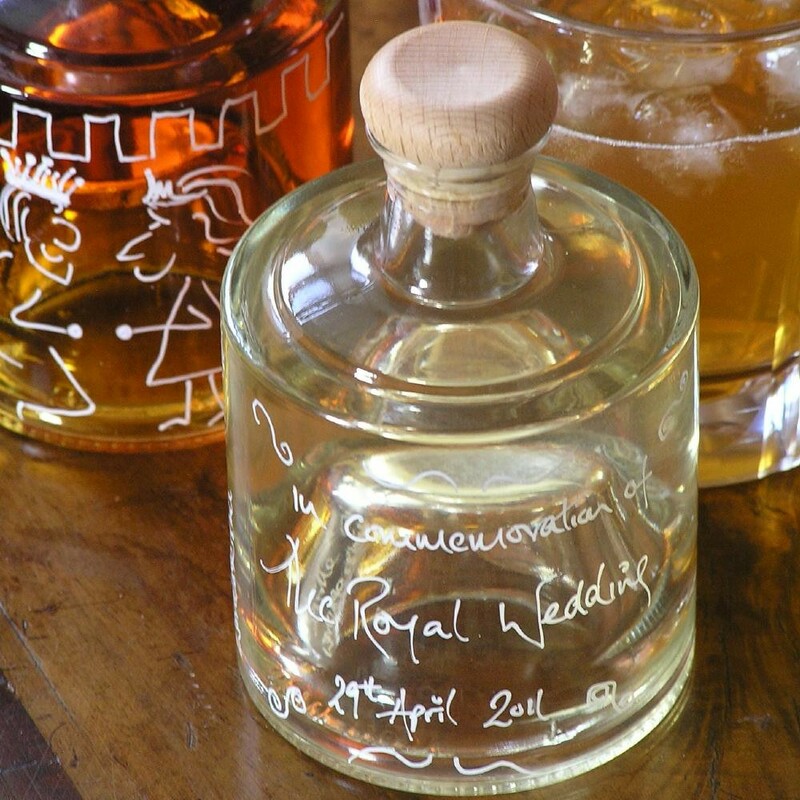 The Royal Wedding Tower is a uniquely created product designed to commemorate the Royal Wedding between Prince William and Miss Catherine Middleton that took place at Westminster Abbey on 29 April 2011. Two stacking Impiliable 250ml bottles are filled with our refined Somerset Pomona 20% and our marmalady Seville Orange Gin 26%. 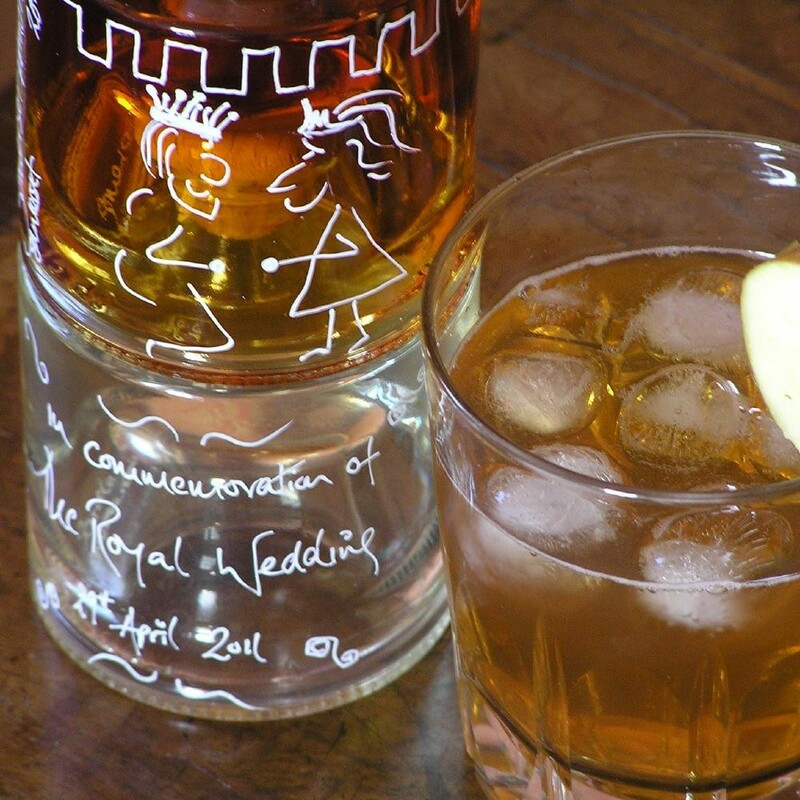 The Royal wedding Tower contains the vital ingredients for our Edinburgh Apple Royal cocktail, a cocktail specially created to toast the successful Royal union. Edinburgh Apple Royal is a deliciously spring fresh aperitif, with a distinctive taste of apples and a hint of citrus. 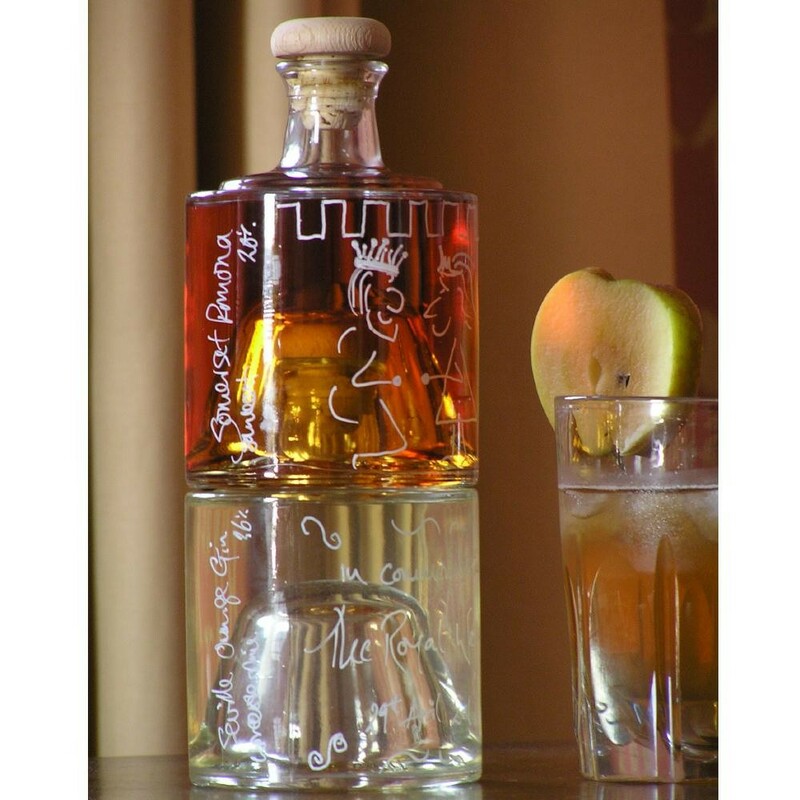 This drink brings together the finest taste of British apples used in the production of our Somerset Pomona 20% and the Spring freshness of our marmalady Seville Orange Gin 26%. 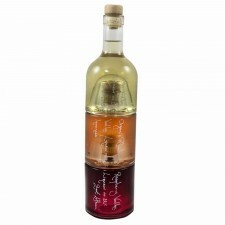 Please note that no messages or other images will be drawn on to your bottles unless specifically requested at time of order.